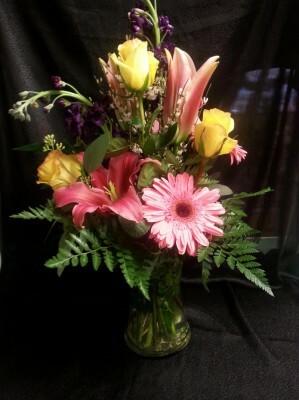 Great Day - $77.00 : Butte Floral, Your first and best choice for all your floral and gift giving needs in beautiful Butte America! *Vase style and color may vary. This product was added to our catalog on Friday 14 August, 2015.